Jaws Blu-ray Review. Jaws on Blu-ray is not flawless but it's as close as it we will ever get. With a brilliant and at times clichéd story, relatable characters and a shark that looks more realistic than CGI, Jaws is a must have Blu-ray for all good lovers of modern cinema. Never having watched Steven Spielberg's Jaws before, I must admit that I was a little apprehensive on how this 1975 film would compare to modern films. However Universal Studios Digital Service have carefully restored the original film which could be described as nothing more than spectacular. Over several months, these skilled technicians balanced the colours, removed dirt, scratches and repaired the damage of the original film as it was converted to digital. Audio was also transferred to DTS-HD Master 7.1 and unlike certain other directors who will remain anonymous, Steven Spielberg was a key consultant throughout the process and best of all, his original vision remains intact and there is no sign (thank god) of any CGI. This is as pure as digital remastering can get and Universal Studios should be commended on the end results. 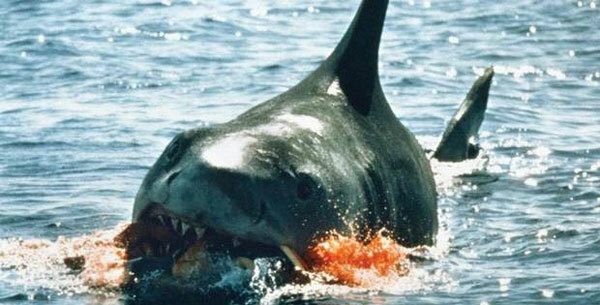 Surprisingly, the story of Jaws has dated well, especially for a film that is almost 40 years old. Interestingly enough, the production of Jaws was plagued with problems but somehow this movie all came together and Spielberg became one of the most acclaimed and famous directors of modern cinema. Jaws also inspired a whole generation of moviemakers and became the benchmark for the horror and triller genres for years to come. The hero of Jaws is played by the late great Roy Scheider who played Martin Brody, the chief of police at the seaside community of Amity. Brody is also a damaged hero who has underlining issues and to make matters worse, a fear of water. The film begins with a group of teenagers partying on a hot summer night and when one of them decides to go skinny dipping in the water, she becomes the first victim to this terrifying shark. As a result, Brody decides to close the beach to the public, however when the Mayor (Murray Hamilton) and other key business leaders approach the town's sheriff, stating that it will harm local business, he reluctantly over turns his decision. Needless to say, he was dead wrong! Unfortunately this decision will not only cost Brody but also the town as a young boy is killed by the shark which instigates his mother to put a bounty of the killer that forces the town of Amity to become a circus to the media and other shark hunters. Brody joins forces with a local fisherman called Quint (Robert Shaw) who has experience hunting sharks and scientist Hooper (Richard Dreyfuss) from the Oceanographic Institute, a specialist in the area. Together they go on the hunt for the killer but things are never simple, especially in a Spielberg movie. After their first encounter with "Jaws", they soon realise that this threat is even worse then they first imagined due to the enormous size of this creature. Add in the powerful theme of Jaws thanks to composer John Williams and Jaws is truly a nail-biting experience that will have you on the edge of your seat, even almost 40 years later. Wow... what a ride! The digital conversion of Jaws is quite extraordinary and although the video still looks a little dated when compared to films of today, it definitely looks far superior than anything that has ever been released from the 70's and even to some extent, the 80's. With a presentation of 1080p/AVC, images are sharp, colours are vibrant, which only highlights the meticulous remastering of Universal Studios. Audio is equally impressive with 7.1 DTS-HD Master Audio, in particular the sound effects and the memorable Jaws score by John Williams. Voices do sound a little a shallow but this is due to the limitation of the technology in mid 70's. 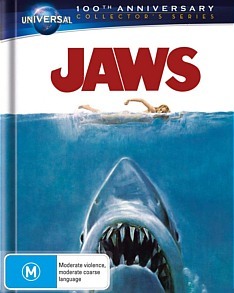 There are also a healthy wealth of special features that include a 2-hour documentary of the making of Jaws, deleted scenes, outtakes, featurettes, photos, trailers and more. These special features are definitely a great insight into a modern day classic. 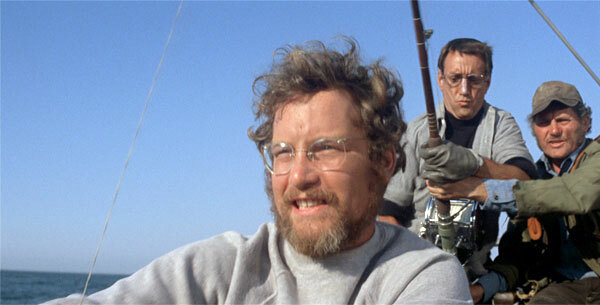 Jaws on Blu-ray is not flawless but it's as close as it we will ever get. With a brilliant and at times clichéd story, relatable characters and a shark that looks more realistic than CGI, Jaws is a must have Blu-ray for all good lovers of modern cinema.